If you’re one of many people out there who happens to bring in money from a so-called “gig economy” job, you might be wondering if such income can be used to obtain a home loan. Most mortgage lenders will verify your income to determine how much mortgage you can afford. But if it can’t be documented, or is unusual in any way, you may run into trouble when attempting to use it. While the kinks are still being worked out for on-demand workers, seeing that it’s such a new trend, the good news is mortgage financiers like Fannie Mae and Freddie Mac are already discussing options and beginning to take action. This means it should get easier to use gig economy income when it comes time to get a mortgage, even if it isn’t totally clear at the moment. The cooling mortgage market may also result in a more expeditious effort on this front to get more customers in the door as millions could benefit from clearer rules. First things first, let’s discuss what exactly the gig economy is. Put simply, it’s the workforce behind companies like Uber, Lyft, Postmates, Airbnb, Amazon Flex, Etsy, TaskRabbit, and many others. It’s basically a job that allows an individual to pick their own hours and the amount of time they want to put in. Or in the case of companies like Airbnb or Turo, it’s a matter of renting out things you own to other people to turn a profit. Freddie Mac recently noted that 43% of U.S. workers will be freelancers by 2020, per a LinkedIn study. This is up from just six percent back in 1989. Similar research from the Pew Research Center found that 30% of American workers are self-employed or working for the self-employed, representing roughly 44 million individuals. Even if they aren’t self-employed or freelancers by trade, many also supplement their day job with income from these aforementioned gig jobs. So it’s obvious that a clear-cut solution is needed to help millions of borrowers purchase homes with mortgages and refinance existing loans. In the past, these workers may have been known as “temps,” but today they’re gig workers. And the two aren’t really quite the same. Back in the day, you couldn’t fire up a smartphone and in a matter of minutes start getting paid. You still had to go through a traditional hiring process, even when seeking temporary employment. Sure, gig economy workers are vetted too, but technology makes the process even quicker and easier for the individual looking to earn money with little to no commitment. In some cases, you can earn money with few or no roadblocks. I believe Bird pays people to charge their scooters after a quick phone interview and sign-up process. This type of flexibility is great for those who want to set their own hours, or simply only work when they want to work, but it’s also creating headaches for mortgage companies as they try to navigate compliance and satisfy underwriting requirements. In the past, income was fairly cut and dry, barring the self-employed borrower who had a more complicated tax return. That ushered in stated income mortgages, which have since been mostly driven to extinction, at least for now. But gig economy income is real, and should be treated as such if an individual earned it and wants to use it to finance a real estate transaction. The question is how do mortgage lenders calculate it so it can be used to knock down a prospective homeowner’s debt-to-income ratio to an acceptable level? The answer might be a lot simpler than you’d expect. To solve the issue of complex tax schedules and this new, seemingly sporadic gig economy employment, technology will likely be called upon. Freddie Mac has already teamed up with a company called LoanBeam to use a patented technology known as optical character recognition, or OCR. It basically scans and then extracts key information directly from a prospective borrower’s financial documents (paystubs, tax returns, etc.) to calculate a qualifying income that can be used to obtain a home loan. Instead of having a loan officer or mortgage underwriter do the heavy lifting, and potentially make mistakes along the way, a computer does it. And it’s apparently 99.7% accurate, which sounds pretty decent. At some point in the future, Freddie Mac expects to integrate LoanBeam’s OCR technology into its automated underwriting system so lenders and their staff can quickly determine a borrower’s income, no matter where it’s derived from. In the meantime, this process is manual and seemingly a work in progress. Can I Use Gig Income to Get a Mortgage Right Now? As noted, technology aims to make the use of gig income a very clear, black and white issue, similar to W-2 income. 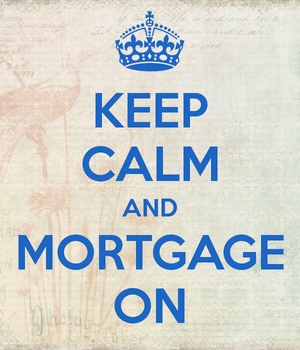 But before that happens, expect more scrutiny and documentation requests if and when you apply for a mortgage. This is likely something that is handled case-by-case, which may vary by lender, but like all other forms of income, here are some basic takeaways to consider. Generally, mortgage lenders want to see consistency when it comes to earnings. To that end, they often ask for the past two years of income documents to ensure you can hold a job over time and keep bringing in the bacon. So if you just got a “job” driving for Lyft two months ago, you probably won’t be able to use those earnings to buffer your other income. However, if you’ve been working for Lyft for the past several years, and can document the income on a tax return and display some level of consistency, a lender may be more than happy to include it when determining affordability. Further complicating the issue is that many gig workers bounce around from gig to gig as new companies emerge and close. For example, a prospective home buyer may have worked at Uber for six months, then jumped ship to Lyft to earn a new driver bonus, then eventually moved on to TaskRabbit or some other platform. Or they may have left a company like Sidecar after it went out of business. All that jumping around doesn’t look good on paper, but if the individual can document a history of steady income from all these jobs, it might just pass muster. Again, the problem now is having humans look at all that, organize it, compute it, and finally accept it. Many legacy underwriting systems probably aren’t built for the gig economy or the apparent uneven income produced over time. But if someone can prove to make a certain level of income consistently over time, maybe they should be afforded the same options as those in traditional nine-to-five day jobs. 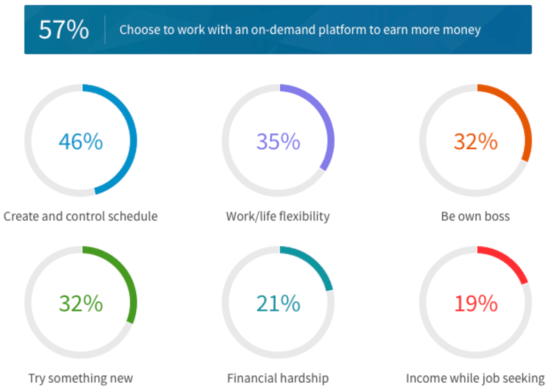 After all, some 81% of on-demand workers plan to keep working a gig job in the future. So in that sense, there is some stability to it, even if it’s a bit complicated than a traditional position. Basically, follow the money/income, not necessarily the job. Hopefully technology will eventually award these individuals, even if they don’t fit the common mold. Clearly this is going to become a lot more common over time, so solutions need to be developed fast to deal with this potentially massive sea change.